Description: Learning about our users and their trouble spots has been extremely important in the evolution of our product. Multiple products and different user bases allows optimization for many different segments - which are interviewed and tested multiple times a year. Involvement: UX Researcher. I recruit the appropriate demographic users, write testing plans, moderate the actual study, and then work with the product owners to prioritize potential solutions. Description: In order to optimize conversion while minimizing the risk, Neighborhoods.com implemented an A/B testing strategy on both platforms. Process: Using research (usability testing, surveys, and site analytics), weak points and improvement opportunities are identified, designed for, and then implemented using Optimizely. After each test, we learn and iterate. Involvement: UX Researcher and designer. I identify opportunities through research, create solutions using wireframes, write test plans, and analyze results for future learnings. Description: Tablet app built from the ground up with multiple goals in mind - make field technician's day-to-day activity as effective as possible, create an engaging experience that the tech's enjoy using, reinvigorate a stagnant culture. Process: Worked with small, agile team to quickly iterate and create separate apps at time of device launch. Led initial research and prototyped, tested and worked hand-in-hand with dev and design to create a beautiful experience. 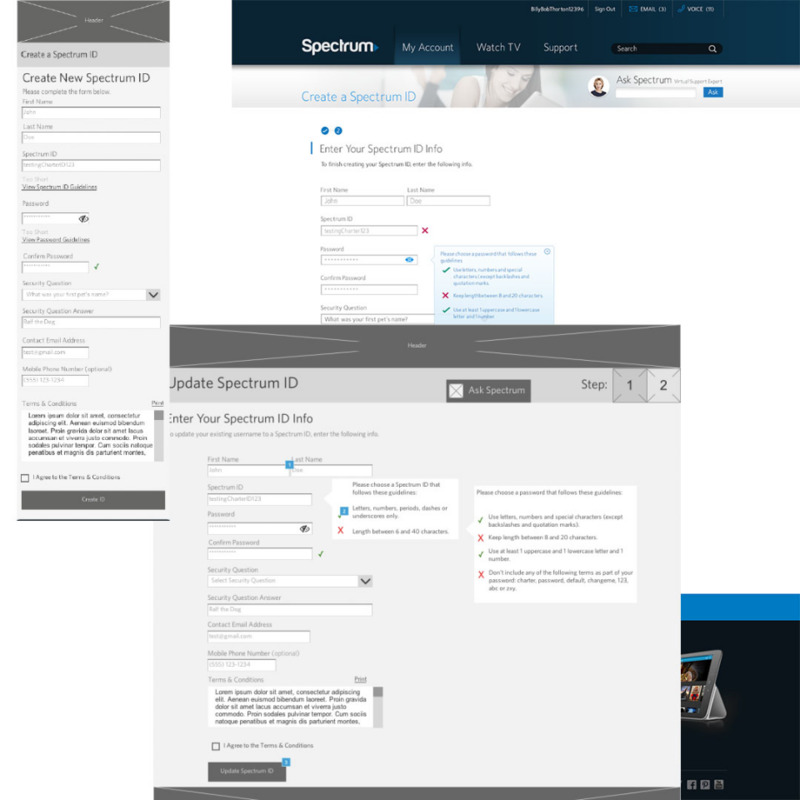 Description: An industry-leading UI revamp for an out-of-date experience. Process: I was brought on to the project midway through designs; where I quickly learned about the new platform and a navigation system (set-top box and remote control) and user base. Involvement: Wireframed full feature set, worked closely with technology and vendors as set-top box technology changed, and conducted usability testing to support designs. 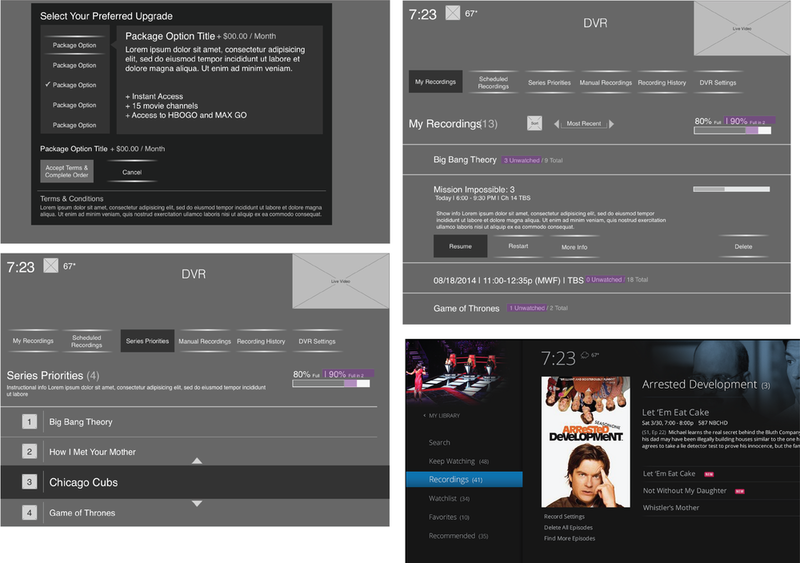 Description: Redesigned responsive website used to consume Charter's TV offerings. Account management tools and online support also saw strong use. Process: After initial release to meet timelines, the team was given some breathing room to make the experience much better. I conducted guerrilla testing, redesigned many sections based on research, and convinced stakeholders to add additional tools. Involvement: Worked closely with stakeholders to gather and recommend new requirements. Conducted usability testing which informed new designs and functionality. Description: The self-service app for over a million Allstate customers. Allstate Mobile allows customers to manage their accounts and provides additional user value with welcomed tools. 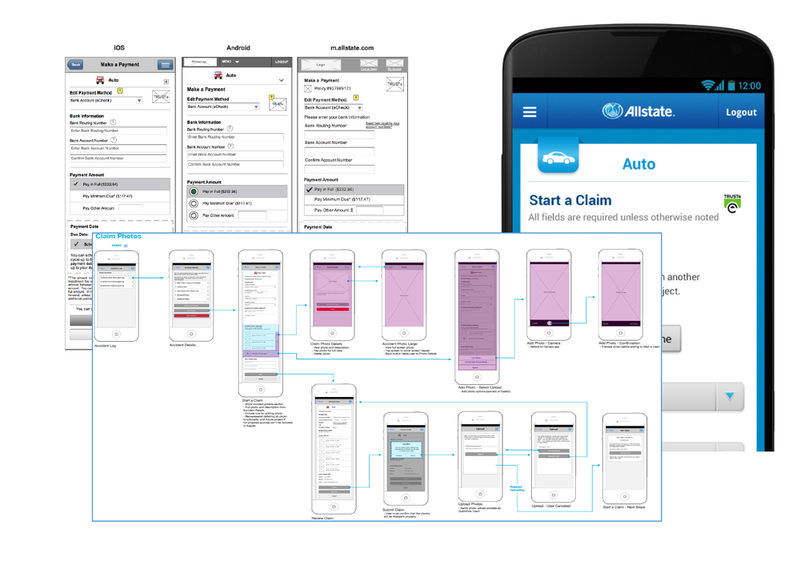 Process: Allstate Mobile is a living creature that is constantly growing and changing. The app started as a design refresh in 2012 and has since added over 20 innovative tools and projects. Involvement: Wrote all content for the app, conducted competitive and usability research, and led interaction design for multiple tools within the app. Consistently juggled between 8-12 moving projects at a time. Description: Manifest Match is the winning product of the "Hack the Employee Experience" hackathon. The internal website empowers employees to view and apply to open positions, compiles case studies for quick pitch work and on-boarding, and gives project managers insight to employee skills and interests. Process: Growing out of a quick and dirty hackathon, the initial program definition transitioned to user research and concepts within weeks of ideation. Involvement: Interaction design partner for multiple sections of the site including the client/project lists and the employee/project match-maker. Description: Digital Dose was a client-facing strategic newsletter sent out monthly. Process: I created a newsletter to engage our client in an informally informative format (say that 5 times fast). We use this as a tool to spark lively, relevant conversations with our client about new technology, process improvements, and growth ideas. Involvement: Lead strategist and owner. Choose article topics and respond to client discussions. Want to work together? Have questions? Let's talk.